It’s pretty easy to convince ourselves that we aren’t the “type” for a given job, friend, adventure, or form of exercise. I fall into this trap when it comes to yoga. When I roll out my mat and face the wall of mirrors at my local studio, my eye immediately catches everything that’s wrong about my body (or so I tell myself). I look at the lithe instructor, with her graceful arms and flat stomach. Then I look in the mirror and feel out of place. I’m too muscular. My thighs are too thick. I notice my feet and hands are in the wrong place. I shift uncomfortably, trying to mimic the teacher. Then, without fail, about halfway into class—when I’m holding a solid side-plank pose and feeling those hard-earned muscles at work—I let go of the judgment. I forget the mirror and enjoy the flow. Yoga is now more popular than ever. According to Yoga Journal and Yoga Alliance, more than 36 million people practiced yoga in the United States in 2016. All sorts of people do all sorts of yoga for many different reasons. Nevertheless, when most Americans think of a yoga instructor, they picture a thin woman in head-to-toe Lululemon, hair piled on top of her head, mala beads clicking on her wrist. As a curvy, black female, Jessamyn Stanley doesn’t look the part of a stereotypical yoga teacher—a fact she celebrates. Stanley is a body-positivity advocate who challenges conventional—and limiting—ideas about yoga. Stanley cultivated her practice at home, devoting herself to working on poses she discovered online, without worrying about achieving perfection. She uses a dog leash instead of a yoga strap and a pile of books instead of blocks. Seane Corn has been teaching yoga since the 1980s, and since then has combined her practice with activism focused on social and political change. Like many, Corn didn’t start yoga looking for a spiritual experience. She was looking for a healthier life, for a way to stop using drugs and alcohol. 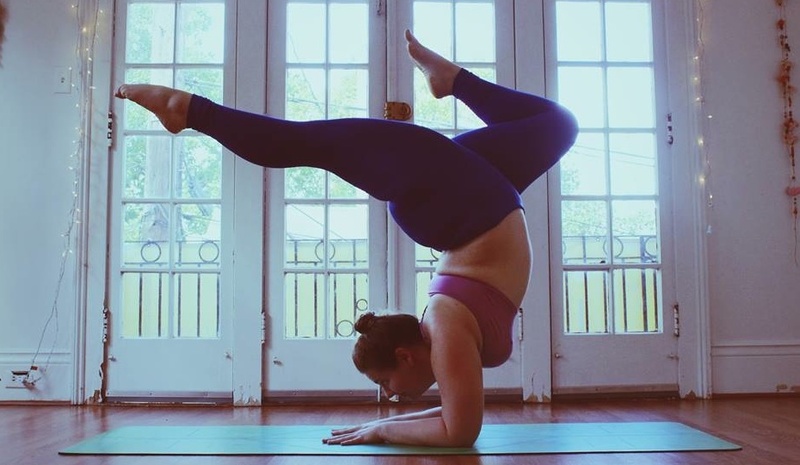 Then one day, when she was 23, Corn realized yoga was not only having an effect on her body—it was improving her mental health as well. In the early 2000s, Corn went through another shift, one toward social and political change. Recognizing the large number of people practicing yoga in the United States, she began to wonder what would happen if they all got together and united for a cause. It was then that she started Off the Mat Into the World, a nonprofit organization that uses yoga to inspire activism and social change. Off the Mat has raised money for an eco-birthing center, a schoolhouse, medical supplies in Uganda, and the HIV/AIDS crisis in South Africa. Take a journey into the soul with Teacher Training from Seane Corn September 23 – 28, 2018 at 1440 Multiversity. Visit 1440.org/BeHereNow to register! My habit of staring in the mirror and criticizing myself doesn’t mean there’s something wrong with yoga. It also doesn’t mean there’s something wrong with me. It’s fairly human to hear the voice of our own self-critic pipe up—especially when we enter a realm outside our comfort zone. When I walk into the yoga studio with its warm wood floors and hanging plants, I would do well to leave behind my idea of what a yoga practitioner is meant to look like. Who cares if I look the part? Allowing myself the opportunity to let go and focus on how my body feels, not how it looks, is what matters. Yoga is not about strengthening the core or developing lean muscles. The 5,000-year-old practice began as a way to sacrifice the ego through self-knowledge and action. It developed as a method for exploring physical and spiritual connections. None of these things require a certain body type or expensive pants, something Stanley and Corn understand deeply. Hilary Achauer is a former amateur boxer turned surfer and CrossFit athlete. When she’s not writing about health and wellness, she’s at the library with her kids or trying to figure out what to do with the collard greens from her weekly farm share box. To contact her, visit www.hilaryachauer.com.